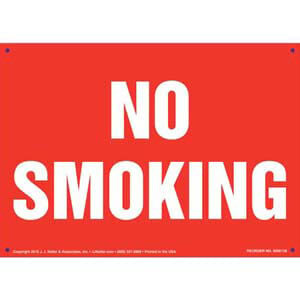 No smoking sign offers clear reminder for drivers. 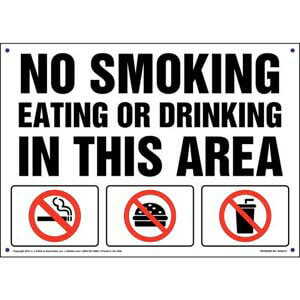 Smoking control signs remind individuals not to smoke, eat or drink in a given area. 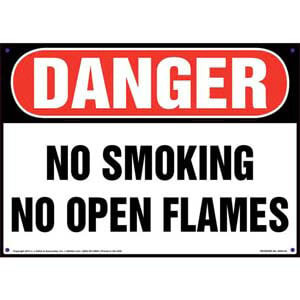 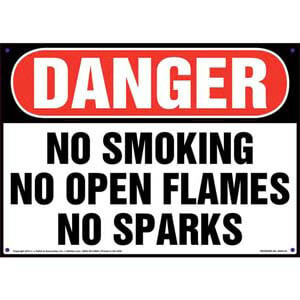 Danger sign warns of the hazards of smoking, open flames or sparks in a given area. 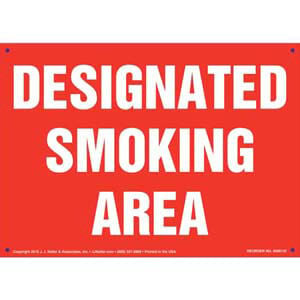 Facility sign clearly indicates an area where smoking is allowed. 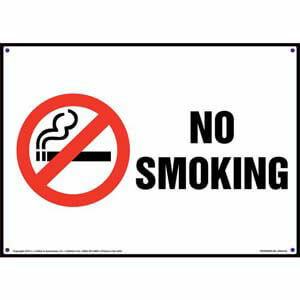 Smoking control sign reminds individuals that they should not smoke. 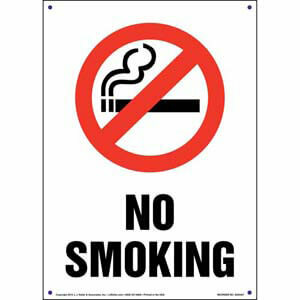 No smoking sign reminds individuals that they are not allowed to smoke. 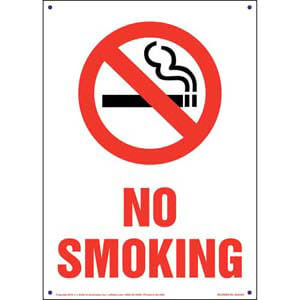 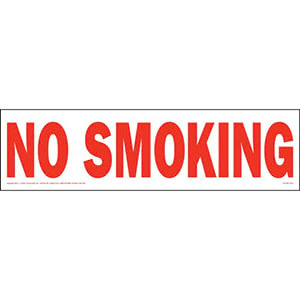 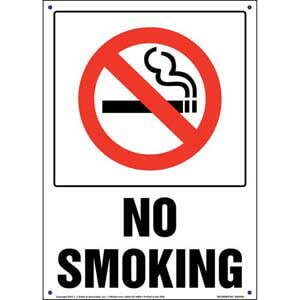 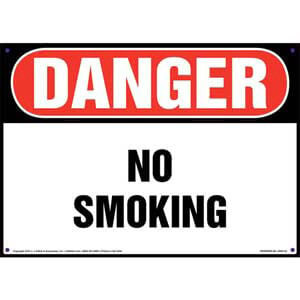 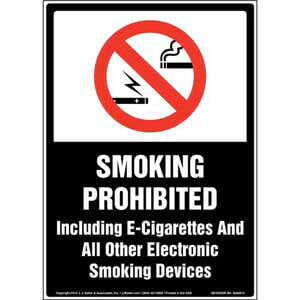 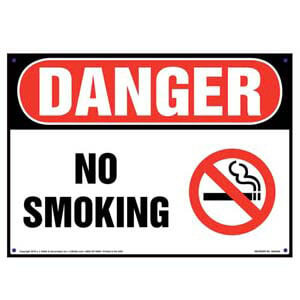 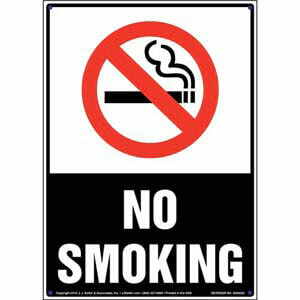 No smoking sign informs individuals they are not allowed to smoke or use e-cigarettes/electronic devices. 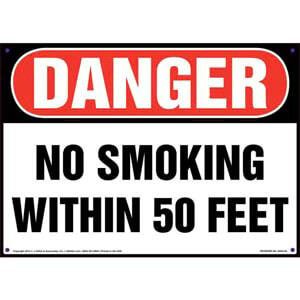 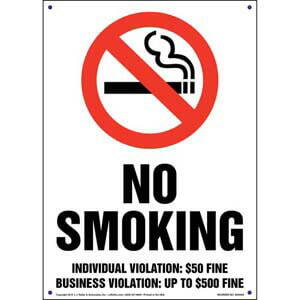 Smoking control sign reinforces Tennessee's rules and regulations.